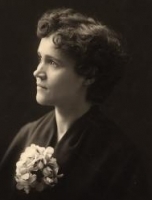 Anarchist without adjectives Voltairine de Cleyre was born in Leslie, Michigan, and educated in a Catholic convent (from which she tried to run away). After graduating, she became a strongly anti-clerical freethinker, feminist, and political radical, influenced by the works of Mary Wollstonecraft, Clarence Darrow, and Thomas Paine. De Cleyre felt her life change forever after the executions of the Haymarket protestors in Chicago in 1887. She was known as a excellent, passionate public speaker and writer and a tireless advocate for the cause of anarchism. In 1890, she had a son with James B. Elliot, another freethinker. From 1889 to 1910, she lived among poor Jewish immigrants in Philadelphia, where she taught English and music and learned Yiddish. She was plagued by bouts of illness and depression and attempted suicide on at least two occasions. An attack on her life by a former student left her with chronic ear pain and a throat infection that often made it painful for her to speak or concentrate. She died of meningitis in 1912 and was buried near her friend Emma Goldman. Read An American Anarchist: The Life of Voltairine de Cleyre by Paul Avrich (1978). "The most gifted and brilliant anarchist woman America ever produced." Voltairine de Cleyre is currently considered a "single author." If one or more works are by a distinct, homonymous authors, go ahead and split the author. Voltairine de Cleyre is composed of 5 names. You can examine and separate out names.